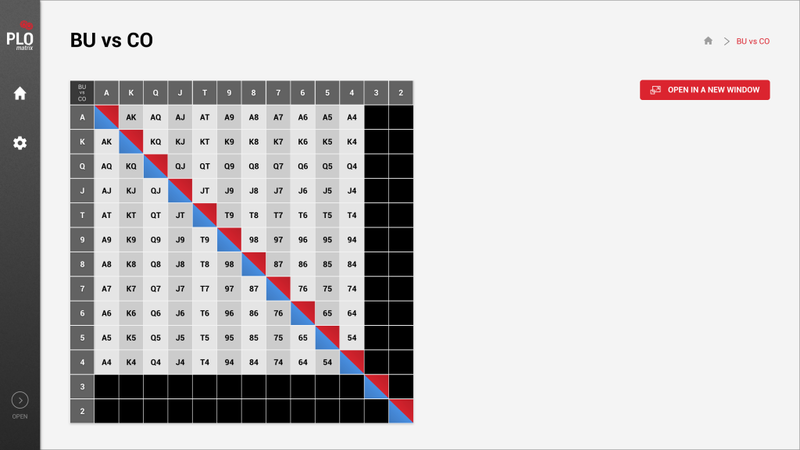 PLO Matrix - A.Y. 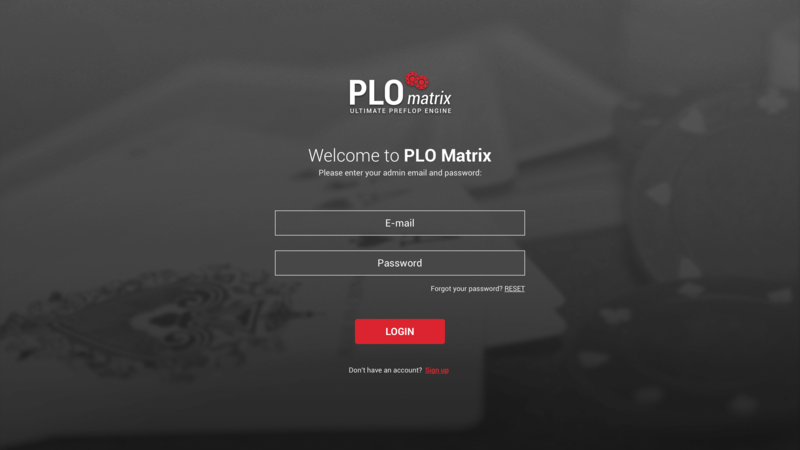 Technologies Inc.
PLO Matrix is an online platform for those wanting to perfect their poker skills. The web application is a preflop learning tool that uses various rake levels and stack sizes. 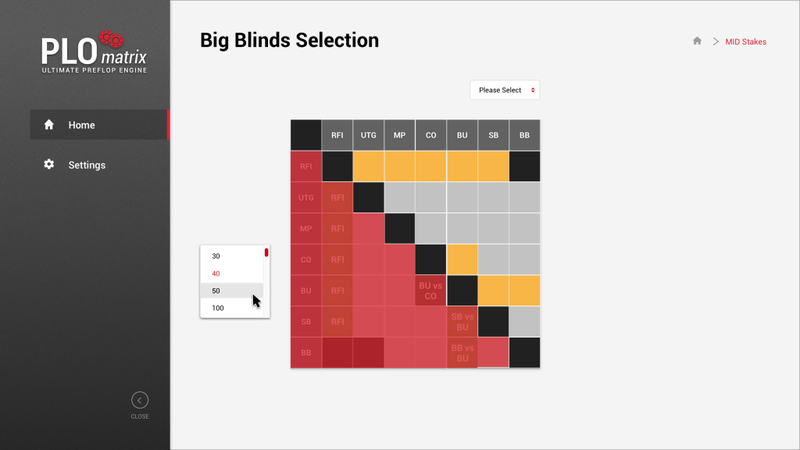 The simulations help users gain new skills and insight into poker. 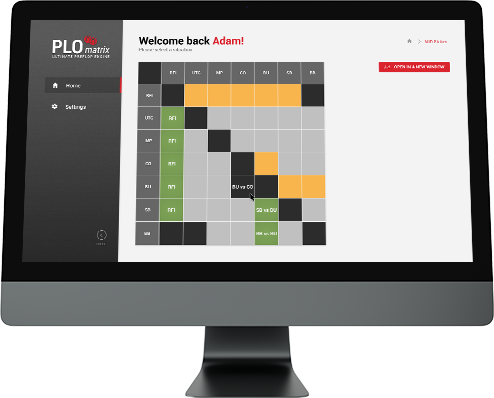 The platform is offered on a monthly-subscription basis and includes various PLO levels based on the user’s chosen subscription. Before the implementation of this project, we held a Roadmap Workshop with the client to discuss the business plan, technical requirements, features and user stories of this platform. We brainstormed different ways to monetize this idea and how to turn this idea into reality from a technical perspective. Through the roadmap workshop we prioritized features for a minimum viable product and planned different phases of this project. The cost and timeline estimates for different phases of the project was provided to the client at the end of the roadmap workshop. 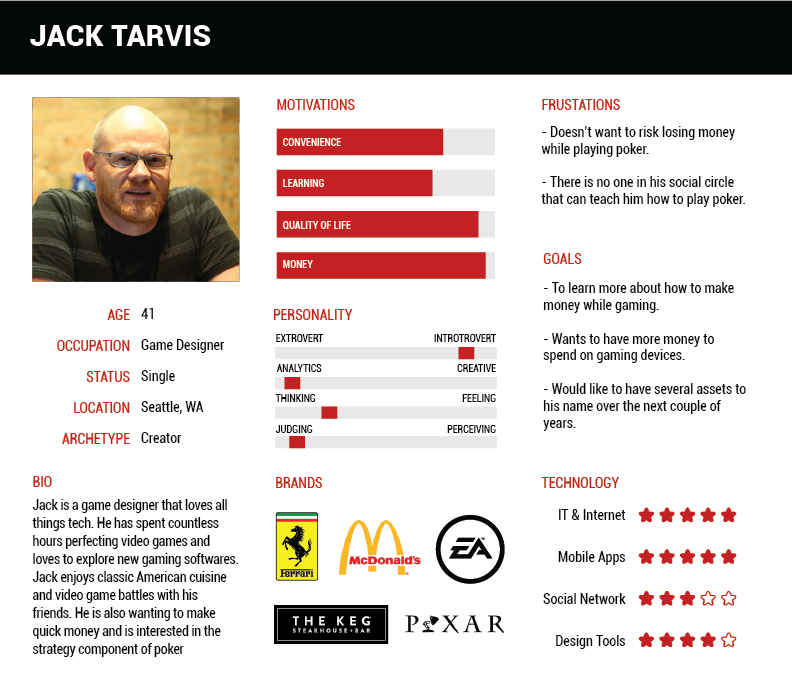 During the roadmap workshop we discussed and researched the target audience for this product and based on that we developed several personas. This was a vital part of the project which helped us understand how to reach our target audience. After defining our target audience and developing personas, we created a customer journey framework to understand what the customer will go through when using this application.  We felt that this component was necessary in order to understand where are customers are coming from and what they are trying to achieve and to provide context for the project as a whole. To get a clear visual of what the application will look like, we started with some sketches. 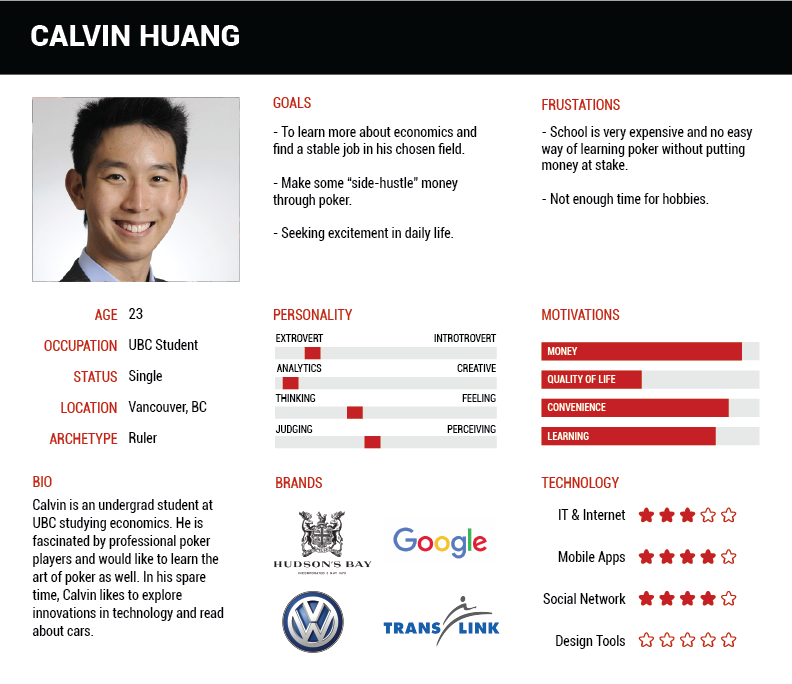 This helped us visualize how our idea will work in user interface form. These sketches allowed us to explore different options and figure out the best design direction. They also gave our team some insight into the scope and technicalities required to execute this project effectively. After sketches we moved to creating low-fidelity and high-fidelity wireframes. We reviewed the wireframes with our client to get their feedback. The wireframes helped us see what the application will need to replicate for the fully-functioning web app. 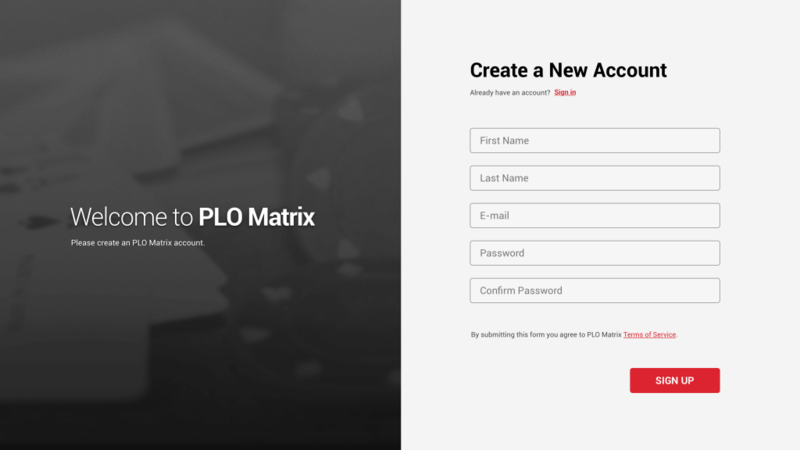 An important part of this project was the proprietary algorithm for PLO Matrix. 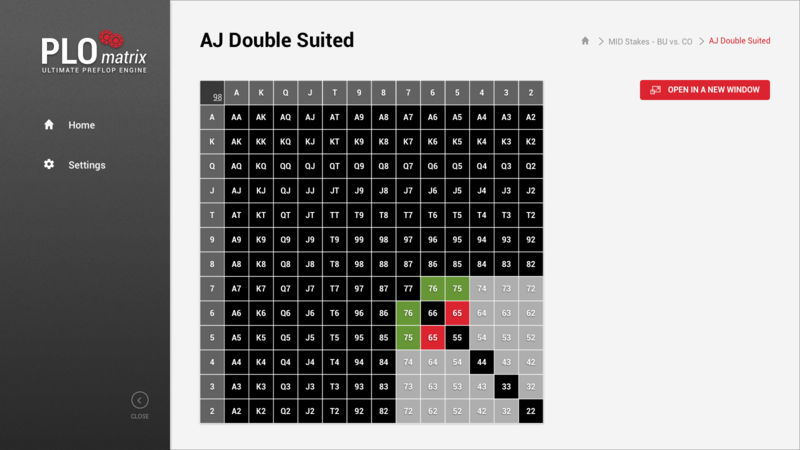 We implemented the algorithm using Dropwizard and Java. We used Google Cloud Platform as Cloud infrastructure. We used many different services from Google Cloud Platform including Cloud Storage, App Engine and Compute Engine. Using Google Cloud Platform, we were able to focus on creating the app. We used technologies such as React, Redux, Dropwizard, Hibernate and many more for this project.